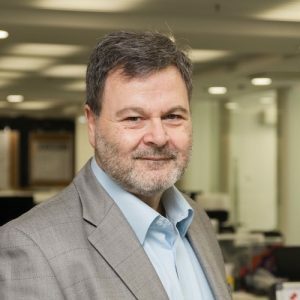 A successful entrepreneur, David obtained university degrees in Pure Mathematics, Mathematical Physics and Education between 1980 and 1986 in Australia. His mathematics and computing skills were instrumental in the foundation of a successful career in derivatives trading. David was an Executive Director of Swiss media company 4MEDiA GROUP AG from 1998 to 2002. From 2003 to 2008 David was an Executive Director of Viamedici, a software company located in Germany, Austria, Switzerland and England developing print and digital media. Since 2005 David has resided in Hong Kong and in addition to his trading manages a wide range of varied and successful businesses. He boasts a strong passion for sport and still travels home to Adelaide to watch his favorite sporting teams play each year. Born in Australia, Andrew moved to Hong Kong in 2005 and Macau in 2009, when he founded O MEDIA. 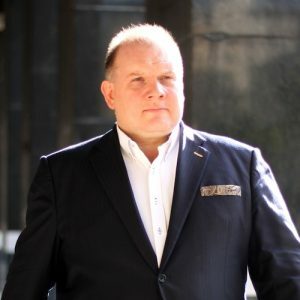 In an eclectic career he has been an accountant, nightclub manager, sports betting business manager, educator, high stakes poker player and television commentator, journalist and publisher. He has over 30 years’ experience visiting and commentating on gaming and hospitality businesses and is now a journalist and executive with deep knowledge in the gaming and leisure sectors in Macau and the region. Andrew was the 2014 Macau Person of the Year and is a Fellow of the Hong Kong Institute of Directors, a permanent member of the Macau Gaming Management Association, Vice Chairman of the Australian Chamber of Commerce in Macau, and President of the Macau Taxi Passengers Association. He is a member of the International Federation of Journalists, the Portuguese and English Press Association of Macau and the Poker Tournament Directors Association. He is a well recognised media commentator in Macau on a range of issues and is extensively networked. Born and educated in Australia, Michael now divides his time between Macau and Australia and has over 20 years of senior management experience. Michael has held various C-level executive roles in finance, marketing and operations, driving change and implementing a culture of continual improvement in many high profile Australian and US multinationals. Michael joined O MEDIA in 2012 and has been instrumental in the evolution and continuous improvement of the group since. 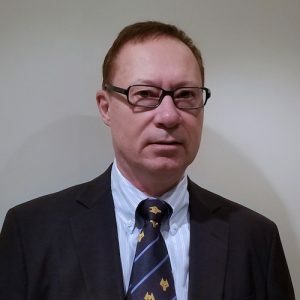 A strategic thinker with deep expertize across the Technology, Entertainment, Media, Marketing and Telecommunications (TMT) eco-systems in Asia and around the world, Marcel has over 30 years of experience working with Chinese and broader Asian media. He sits on a number of boards, contributes to regional and global media events such as MIPCOM, Media 360, Sports Matters and Cannes Lions, and was a long-time Global Leader of PwCs Entertainment and Media practice and Leader of PwCs China TMT practice. Marcel was included in Debretts’ listing of the 100 most influential people in Hong Kong in 2015 and was named in Campaign Asia’s A List of the 100 most influential executives in the media industry in Asia in 2016. A former sports journalist in Sydney, Australia, Ben brings writing and publishing experience to O MEDIA as well as an encyclopedic knowledge of sport that is either highly impressive or highly annoying, depending on who you ask! His journey to Macau began with the game of poker, which he fell in love with in the mid 2000s. Ben then found himself in the Asian gaming hub of Macau where he now oversees O MEDIA’s editorial department. When not card-watching, Ben enjoys a nice glass of wine and walking his dog – not necessarily at the same time! 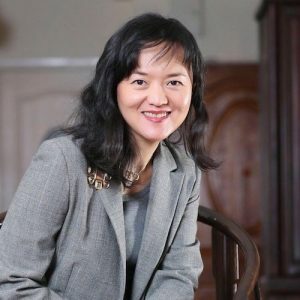 With over 20 years of senior Business Development and Business Management experience in France, Shanghai, Macau, Hong Kong and Asia, Helene had led the Corporate Social Responsibility, Communications and Human Resources functions for MGM China, The XIII Ltd, Ignite Media Group and Melco Crown Entertainment in recent years. Born in Shanghai, Helene grow up in Paris where she attended high school near the Eiffel Tower, then graduated from the iconic university La Sorbonne with a Master’s in Business Management and from the French National Institute of Orient Civilization and Languages with a degree in Chinese Civilization and Language. With a degree in mathematics in one of the geekiest schools in Canada, Kevin has brought the power of analytics back to Macau with him. He is now diving into digital media analytics – project managing the development of digital products that will impact consumer behavior in Macau. Kevin is one of two O MEDIA staff – alongside our CEO Andrew W Scott – to hold a Master’s degree in International Integrated Resorts Management.